In a very short speech on Friday, the president of the Ivorian National Assembly, Guillaume Soro, announced that he is stepping down. However, he remains a member of parliament and still vice president of La Francophonie (an organization of former French colonies in Africa). He said he wants to be remembered as "man of conviction". Soro left the scene aboard his private car a few moments after the end of his speech. 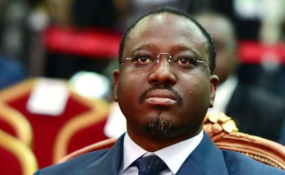 This resignation was expected after he has been as loggerheads with the President Alassane Ouattara after he refused to join his newly formed RHDP party. Sorro said he is sacrificing his post for peace in Côte d'Ivoire.